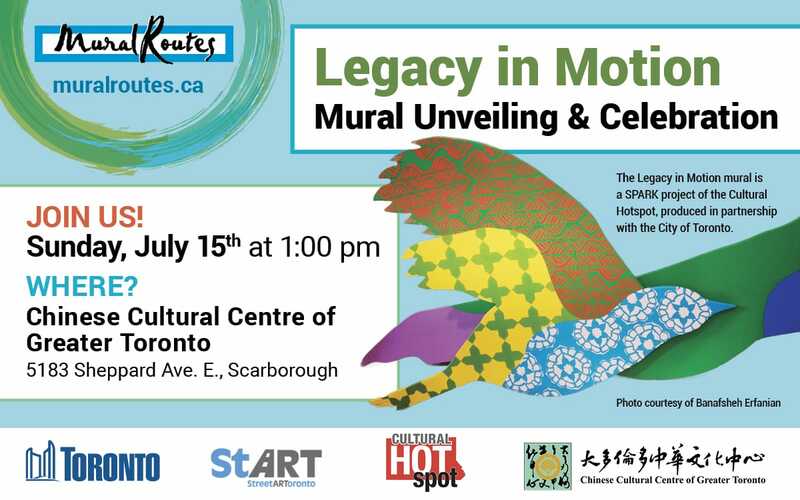 Join Mural Routes and project partners on Sunday, July 15, 2018, 1pm, at Chinese Cultural Centre of Greater Toronto, 5183 Sheppard Ave E, for the unveiling of the ‘Legacy in Motion’ Mural! 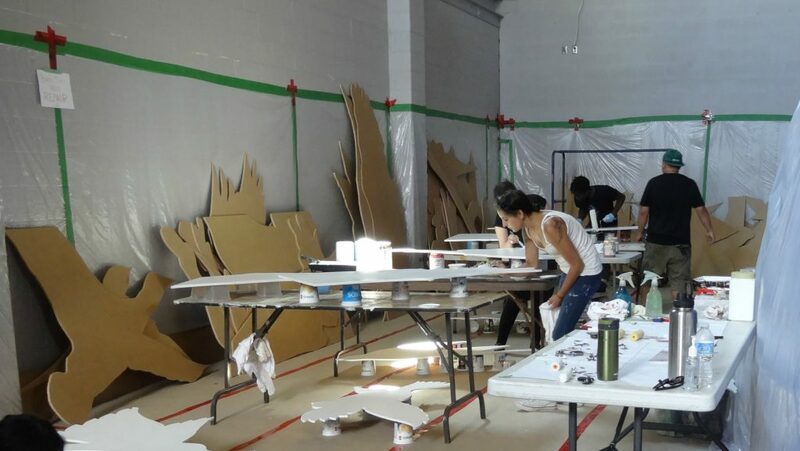 This mural project is being designed and created from May 15th to July 15th, 2018 as a SPARK project of the Cultural Hotspot, produced in partnership with the City of Toronto and supported by a StreetARToronto Partnership Program grant. 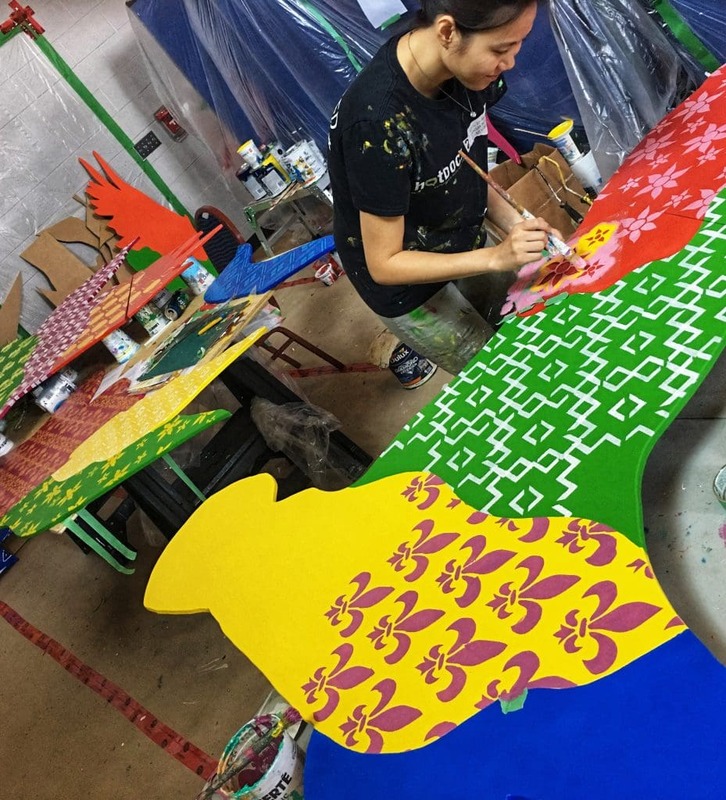 On July 15th all are welcome to join Mural Routes, the artists, City of Toronto’s Arts and Culture Services, StreetARToronto, and Chinese Cultural Centre of Greater Toronto for the official unveiling of this exciting new public artwork! Visit us at www.muralroutes.ca and follow updates on: Facebook, Twitter, or Instagram @muralroutes and #CCCmural for progress updates! The Legacy in Motion Mural is supported by StreetARToronto, Chinese Cultural Centre of the Greater Toronto, and is a Cultural Hotspot SPARK project in partnership with the City of Toronto. 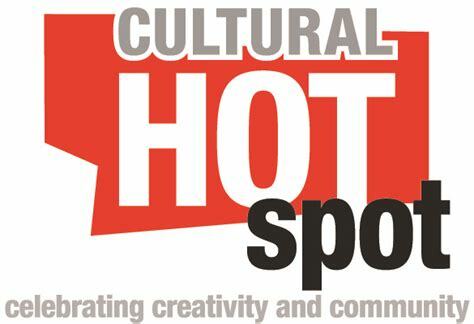 From May through October 2018, the Cultural Hotspot shines a spotlight on arts, culture and the community in centre/north Scarborough, inspiring new ideas about where culture thrives in Toronto. The City of Toronto has partnered with us to create our SPARK project entitled Legacy in Motion. Other projects include visual arts, music, dance, youth mentorship and employment, local festivals and more. Projects like ours, and the legacy Cultural Loops Guide, will enable the local community and visitors to discover Hotspot neighbourhoods like centre/north Scarborough to experience arts, culture, fantastic food, heritage and parkland.